Even if you are an Apple or Samsung Galaxy S fan, you got to admit that the latest models have been looking painfully similar to their predecessors. No doubt while there might have been improvements made in the processors, cameras or the smart capabilities, it makes you question: What are you getting in your next mobile upgrade? Having crossed the midway point of 2018, we have seen the release of many impressive smartphones that can pose a serious challenge to the iPhone and Galaxy S flagship models. Even though some of them are not ridiculously budget, its fresh look and design may just catch your eye. 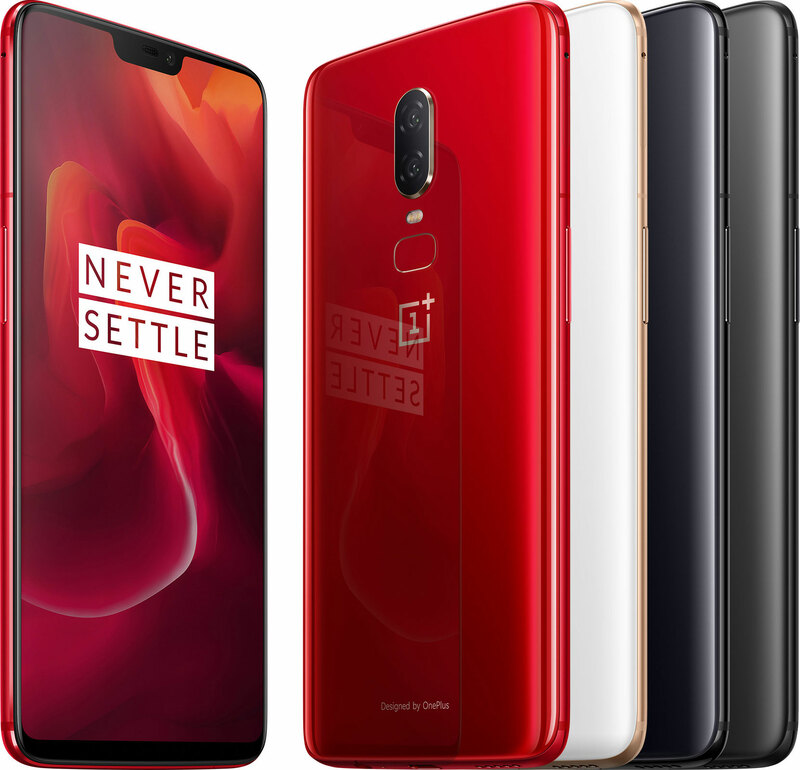 Though it has been in the market for only four years, Chinese manufecturing company, OnePlus is not shying away from competing with the best, launching its latest OnePlus 6 smartphone just barely six months after releasing the OnePlus 5T in November 2017. Apart from its aluminum edges, the OnePlus 6 is almost completely glass. With a thickness of 7.8mm, the phone is not the bulkiest we have seen but neither as slim as its flagship rivals. Despite so, the curved glass rear with some weight makes it feel like a solid phone to hvae in hand. Although it was mentioned by OnePlus that the phone comes with better water-resistance, the OnePlus 6 does not actually come with any IP67 or IP68 certification, so it is advisable you do not take the risk of giving it a shot against water. With the 6.28 inch, full HD+ (2280 X 1080), 19:9 Full Optic AMOLED display, it is the largest smartphone made by the Chinese company. The OnePlus 6 runs on the impressive Snapdragon 845 together with 8GB RAM, making it extremely powerful and slated to perform seamlessly smooth, even when compared to premier models like the Samsung S9. Although the OnePlus 6 cameras seem like the ones of its predecessor, OnePlus has reintroduced Optical Image Stabilisation (OIS) that can help reduce camera shakiness and a 20MP depth-sensing lens with a f1.7 aperture. Its 16MP rear camera also has a portrait mode that allows users to take photos comparable to flagship models of Apple and Samsung. For a phone with a rapid processor like the Snapdragon 845, having a 3300 mAh battery is slightly underwhelming. To be fair, the OnePlus 6 appears to be the current phone that is most capable of giving phone makers Samsung and Apple a run for their money. With its incredible processors and RAM, almost anything would run on the device as smooth as butter. However, with its 64GB, 6GB RAM model starting at $868, it will take substantial efforts to convince current users of flagship phone models to make the switch. The OnePlus 6 comes in three variations at 64GB, 6GB RAM, 128GB, 8GB RAM and 256GB, 8GB RAM, starting from $868 all the way to $1088. The OnePlus 6 will be available on Lazada, Shopee, and Qoo10, as well as in Challenger outlets and select retailers.